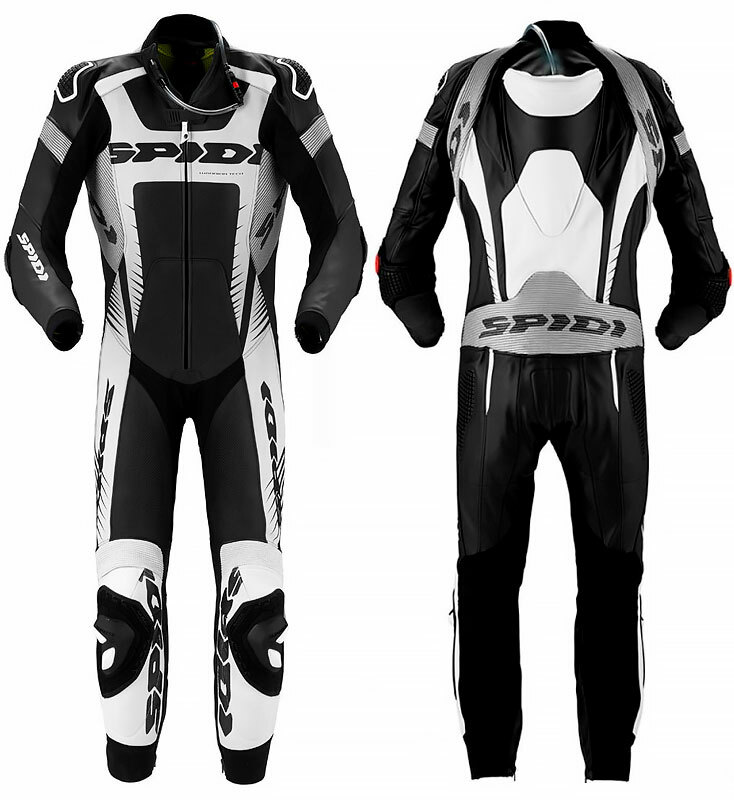 Spidi 1 PC suit with Warrior protections. 1.1 / 1.3 mm perforated leather. Removable mesh inner lining with YKK® zippers for good ventilation. Forcetech certified EN1621-1 protections on elbows and knees. Certified biomechanical EN1621-1 protection on shoulders. Multitech certified EN1621-1 protectors on hips. Warrior technology external protection on shoulders. Removable and adjustable, warrior tech external sliders on elbows. Ready for Warrior Back Protector EN1621-2 Lev.2 or Lev.1. Ready for Warrior chest protector. Clarino® and Neoprene inserts on the neck, wrists and ankles. The suit can be equipped with the Hydroback system in the aerodynamic hump.